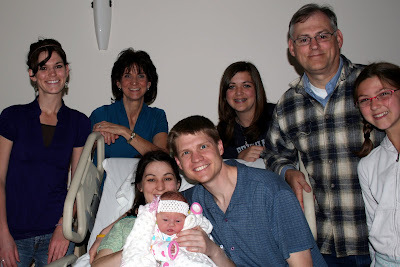 McClellan Clan: Welcome Baby Hailey!!! She's a healthy, happy baby! Notice her head is bigger than 10 cm. Ouch! How convenient to show up on your due date little one. 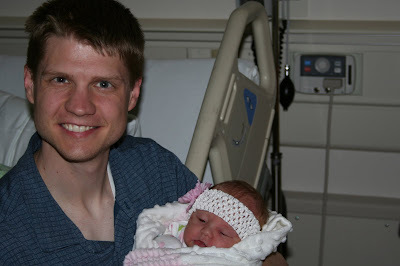 Labor started Friday night...Hailey wanted to come out Sunday morning. The Ashcrafts all wanted to come see the little girl. After 29 1/2 hours of labor Jeni tells Hailey "All is forgiven." Who guessed the right weight?